Robberies have occurred in 019th and 024th Districts in which the offenders robbed victims at gunpoint. In one incident the offenders drove away in the victim’s car. This alert gives notice to citizens residing in the 002nd District (Wentworth) of attempted burglary incidents which have occurred during the month of January. In these incidents, offender(s) gained entry by prying open the front door of apartments and then removed property from therein. This alert gives notice to citizens residing in the 002nd District (Wentworth) of attempted burglary incidents which have occurred during the month of January. In these incidents, offender(s) gained entry by kicking in the front door of apartments. Offenders then rummaged through drawers and closets. 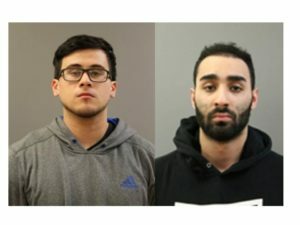 Daniel Gonzalez,23 and Adrian Duran,23 were arrested after officers responded to a call of a burglary on the 5400 block of W. Belmont January 30, 2016 at approximately 6:05 am. Once on scene officers observed a white van had been driven through the large glass window of a retail establishment. Responding officers were able to place both offenders in custody and charged them accordingly. No additional information is available at this time. 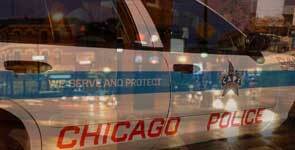 4600 Block of S. Kedzie on 7 January, 2016 at approximately 11:00 A.M.
8300 Block of S. Pulaski on 13 January, 2016 at approximately 11:00 A.M.
Rogers Park (024th) District Officers were on patrol when multiple shots were fired by an unknown offender(s). 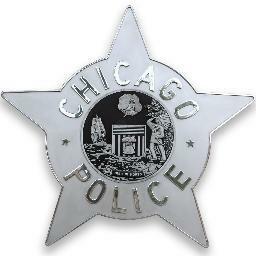 An officer, perceiving that they were being fired upon, discharged his weapon. The offender(s) fled the scene in a vehicle and is not in custody at this time. Efforts are underway to locate the offending vehicle and offender(s). It is unknown if any offender(s) sustained injuries from this incident. No injuries to officers have been reported. 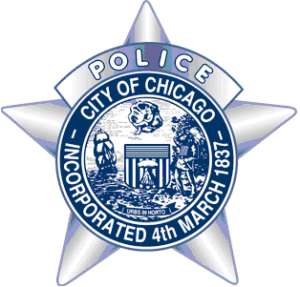 Englewood (007th) District Officers received multiple calls of “person with a gun/home invasion” on the 7300 block of S. Paulina around 4:40 a.m. Responding officers were met by an armed offender and shots were exchanged. The offender was fatally wounded and a weapon was recovered. There were no injuries to officers.